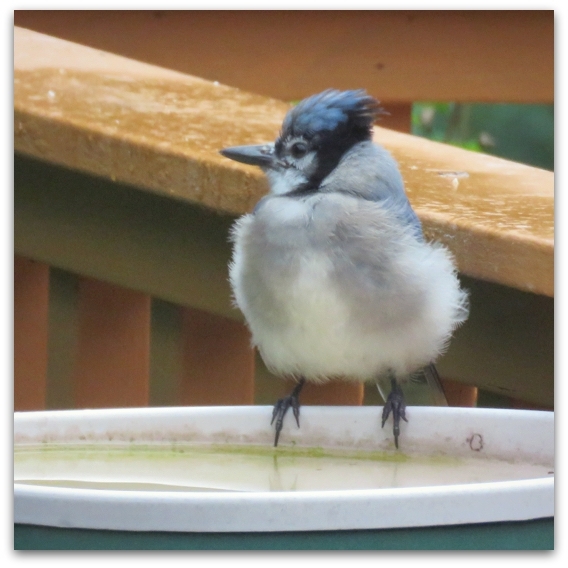 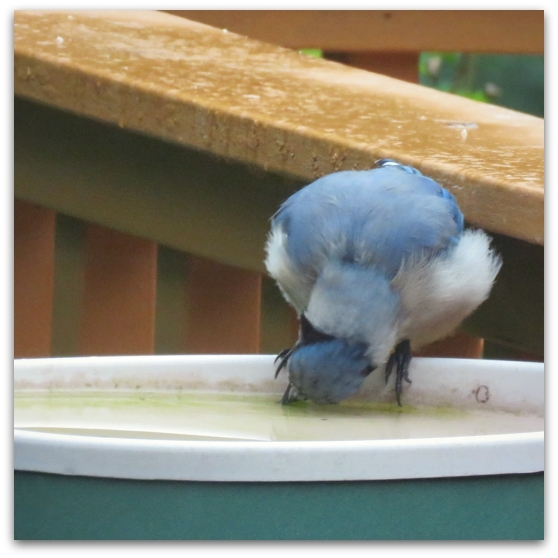 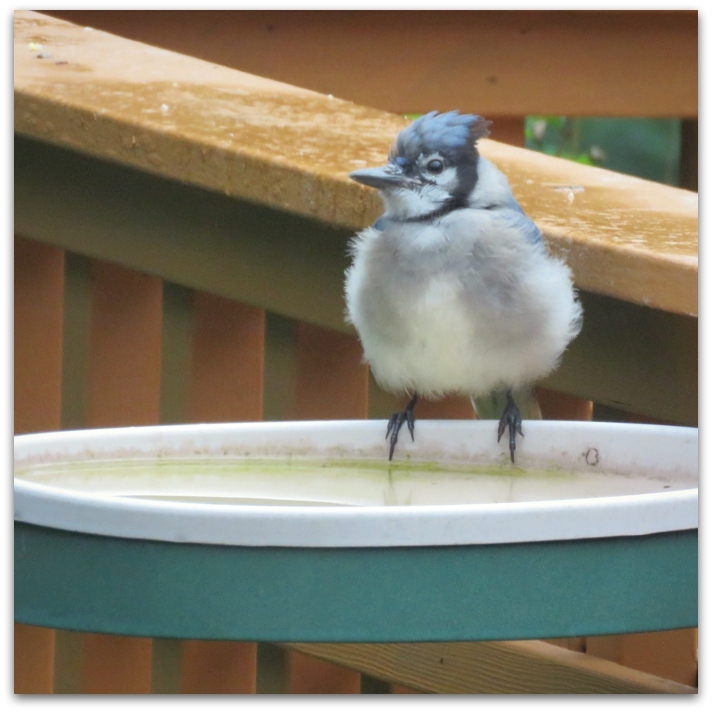 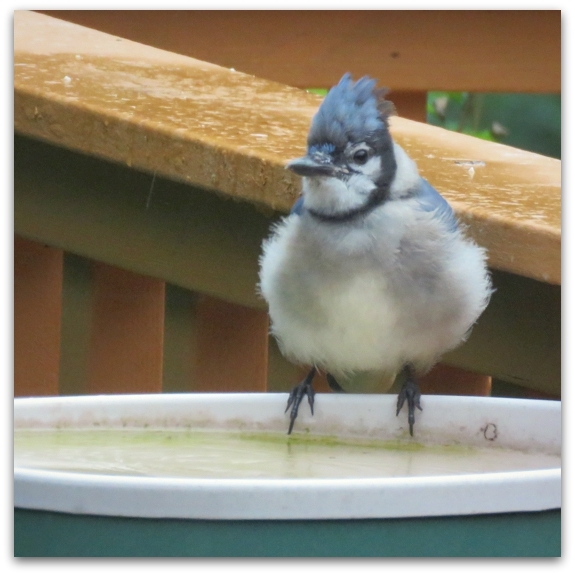 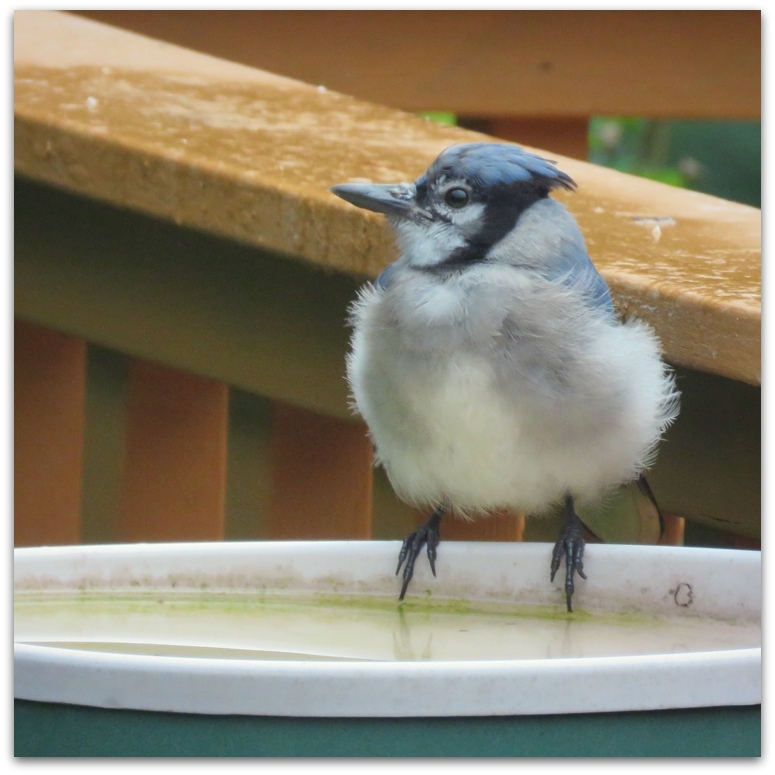 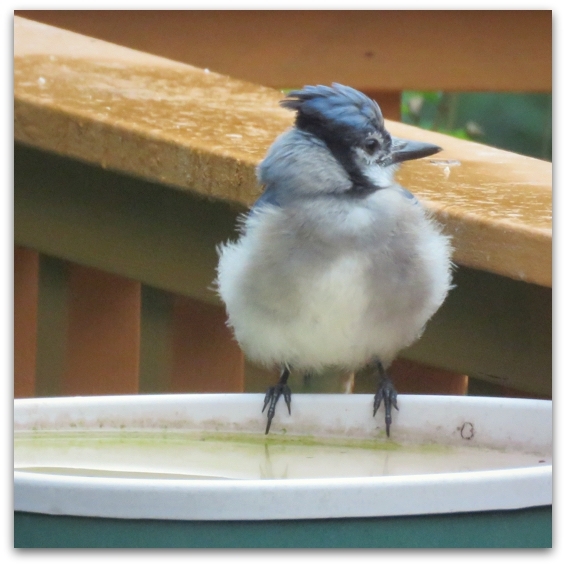 Here is the strangest Blue Jay ever observed: solo, silent, still, peaceful – almost contemplative, fluffy on a warm summer day, and sipping from the bird bath. 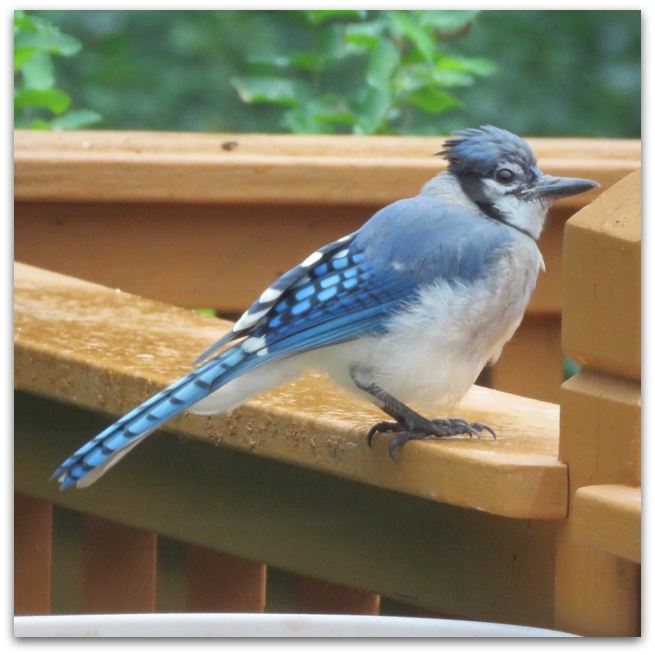 Photos taken yesterday through the kitchen window. 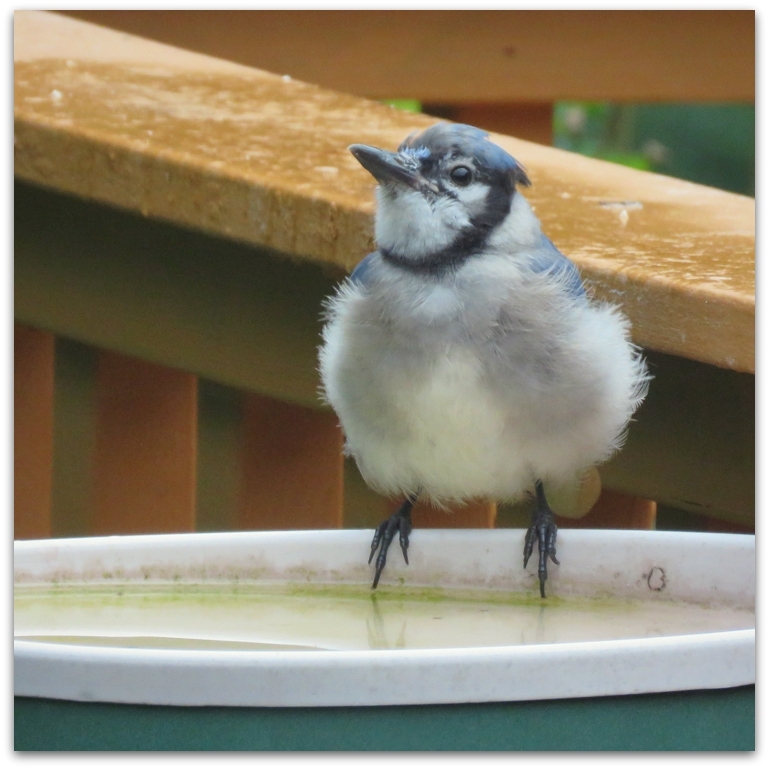 This entry was posted in Uncategorized and tagged Blue Jay on August 16, 2015 by Amy.